In Fortaleza — the fifth-largest city in Brazil — cars jam the streets, bicycles weave through traffic and bus stops are crowded with passengers who might have to wait much longer than expected to catch their ride. The bustling metropolitan area of about 3 million people has faced a number of challenges with its public transportation system, including long delays and overcrowding on buses. The University of Arizona is helping to address those issues by leveraging big data in a unique partnership with Fortaleza officials. Sudha Ram, director of the INSITE: Center for Business Intelligence and Analytics in the UA's Eller College of Management, and her collaborators helped develop an online dashboard where Fortaleza city planners can access a wealth of valuable data about the city's bus system to help them better understand where problems exist and make informed decisions about how to fix them. "This is something that makes an impact; we're not just simulating data but working with a real-world problem and real datasets," said Ram, professor of management information systems and computer science at the UA. The work is part of the ongoing "smart cities" partnership between Fortaleza and the UA, which began when Fortaleza Mayor Roberto Cláudio, a UA alumnus, approached his alma mater to see how the University could help his city use data and technology to improve residents' quality of life. 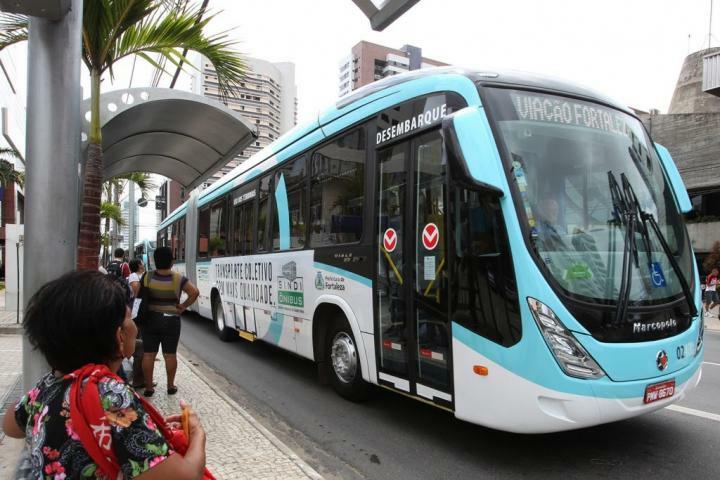 Since then, Ram and her colleagues at the UA have analyzed two to three years of data from the Fortaleza bus system, used by an estimated 90 percent of the city's residents, who rack up 30 million trips a month. The researchers looked at how many people rode the bus, and when and where they boarded, using data collected from the cards passengers scan to ride. They also analyzed data from the GPS trackers on each of the city's 2,200 buses, which log location information every 15 to 30 seconds. In addition, the researchers looked at the locations of the city's 4,800 bus stops and considered data on weather conditions and traffic accidents that might have contributed to delays. "We were able to write our own algorithms to derive exactly how much time it takes for a bus to move from one bus stop to the next, so we can see how fast it's moving and where the delays occur and where there are no delays," Ram said. "Really, this is about understanding human mobility patterns." The work is detailed in a paper in Proceedings of the IEEE, a scientific journal published by the Institute of Electrical and Electronics Engineers. The study was recognized as "best paper" at the recent IEEE International Smart Cities Conference in Trento, Italy. Ultimately, the research led to the development of the dashboard that Fortaleza planners are now using to guide their decisions about where to add additional buses, dedicated bus lanes, or more stops and terminals along the city's 320 routes to help cut down on delays, which can last anywhere from 15 minutes to several hours. Planners have access to two years' worth of data in the tool. "They can pick a particular bus route, they can pick the direction, they can pick a particular date and a particular hour, and they can see how many people were on the bus and where there were delays," Ram said. "They can then take this information and decide whether it's worth putting dedicated bus lanes on those segments of the road where there are most delays. And they're able to justify and explain to their citizens why these decisions are important. "They've actually made some decisions using this dashboard, so we're able to look at the 'before and after' to see if it's making a difference or not," Ram said. The same concept could be used by other developed or developing cities worldwide, she said. "This is really about harnessing or leveraging data that is coming from the 'internet of things,' the GPS signals and the smart cards — these are all objects that generate signals, and they have a time stamp and a location and you want to be able to put all these points together and see patterns," Ram said. "To build a smart city, you want to be able to get all that data together to understand people's usage patterns, mobility patterns, and then design services that are actually going to help them."